Have a Story to Tell? Had a medical error? This blog is about patient safety, medical malpractice, staying healthy, and preventing future errors. Help & empower someone else, Teach a lesson, Bear witness, Build our community - Email us or call 781-444-5525. Frustrated with a health problem? Need an ally in your health crisis? Call 781-444-5525, or learn more. The turning point came after the worst anxiety of my life, oddly enough. It’s hard to say what’s genetic and what's environmental, but I’m inclined to think it’s genetic, as my mother had agoraphobia, like me. I lived with OCD [obsessive-compulsive disorder] since age eight or nine, and there was always an incident here or there, like a panic attack with friends around, which was embarrassing. I resigned myself to it. In 2012 a lot things happened at once. My job as a syndicated entertainment journalist was very important to me: it was exciting, and a creative outlet. But it came to an end, and I had to resign. At the same time my marriage had fallen apart, and my father and grandmother had gotten ill. It was a perfect storm! My anxiety became the worst in my life; I couldn’t function. I had five or six panic attacks a day, and wound up in the E.R. several times in a short period of time. I was put on Klonopin to calm down my body and mind. In that extreme couple of months, I’m not sure what happened inside of me to make it a turning point: finding the right medication, going to a psychologist who specialized in panic attacks and phobias, reading a lot, delving into the research a lot. I started spinning in the opposite direction. Especially when I turned 40, I said, the first half of the ride is over; if you’re lucky, you get 80 good years. I didn’t want the second half to be like this. I got my medication re-adjusted, and got into meditation, prayer, spirituality…. And horseback riding--I wanted something symbolic of something I’d never done before. In the past, I would’ve steered clear of that. I decided to start taking some reasonable risks, getting more flavor out of life. I learned to boogey board in the ocean with my son, and do some things against type, which were very freeing! Writing this book helped me heal quite a bit. I cherry-picked some stories to explain this journey, and weave in and out some of the fun celebrity stuff. When you write a book about your life, it’s like a 3-D hologram, watching a movie of my life. It’s tricky: I’m the observer! It was extremely therapeutic—it enabled me to go back and revisit some moments of my life, which was very cathartic! It enabled me to find a much deeper perspective, and gave me an answer to the age-old question when we feel we’ve been dealt a bad card: Why me?! This answered that question, which was huge, and very empowering! Allison’s advice: If you’re going through hell, keep going! You don’t get there by standing still. You have to put one foot in front of the other, and seek help. Ask for help and advice. I put myself in the hands of professionals who were helping me. Ken’s Advice: Read her book, Journaling Fame: A Memoir of a Life Unhinged and on the Record. Read a story of a hard-won recovery. Thanks to Jaime Katz of Full Scale Media for arranging the interview with Allison. As Republican U.S. Senator Rob Portman of Ohio considers repealing the Accountable Care Act, I hope he keeps two Ohioans in mind. Natoma Canfield is a middle-aged cancer survivor, a cleaning lady from Medina, Ohio. Starla Darling is a young mother working in northern Ohio. She had induced her labor early, just before her employer went bankrupt. Both these women rely on a strong safety net. About one million Ohioans would lose health coverage under the bill recently passed by the U.S. House of Representatives, which is substantially similar to the Senate bill now in process. About 700,000 would lose Medicaid and an estimated 293,000 would lose their coverage through the private health-care exchanges, the office of Ohio’s Democratic Senator Sherrod Brown said. Republican Senate Rob Portman indicated in May that he doesn’t support the House bill because it doesn’t do enough to protect Ohio’s Medicaid expansion population, especially those being treated for opioid abuse. The Senate bill is now being prettied up with lipstick to attract fence-sitting Republican senators. Advice: Share this with your friends in Ohio, urging them to call Sen. Portman’s office at 202-224-3353 with these stories and yours, to ensure he stands firm. Also, you can enter your story on his website. Thanks for the source article by Jessica Wehrman in the Columbus Dispatch of May 25, 2017, which quantified the harm to Ohioans. Arizona has been dangerously hot lately. Speaking of hot air dangerously out of control, the Affordable Care Act is in the middle of a firestorm. Phoenix residents Bryan and Jenny Masche were blessed with sextuplets. They’ll need to be able to rely on Medicaid. Jeff Jeans, a small businessman in Sedona, was diagnosed with a cancerous tumor on his vocal cords, and now says the ACA saved his life. The El Rio Community Health Center in Tucson serves Medicare patients with diabetes like Maria, and many Medicaid patients. Deep cuts in the Affordable Care Act could greatly reduce the capabilities of Federally Qualified Health Centers like El Rio. In Wickenburg, Dirk Almstedt and several members of his family struggle with chronic Lyme disease. Their burdensome care has made him cut way back on his work hours, so they need to be sure Medicaid will be there to cover them. Advice: Ask your Arizonan friends to call Sen. John McCain at (202) 224-2235 and Sen. Jeff Flake at 202-224-4521 to protect the ACA. Our son was born with a serious congenital heart defect but is healthy and living a productive life, thanks to two open-heart surgeries, one at age six and the second at age 42. He suffered a heart attack at age 20 and a stroke at age 30, both requiring hospitalization, tests, and medication, but has recovered. Currently, he is a successful free-lance videographer in Massachusetts, working for a number of production companies, but has no organization through which he can buy medical insurance. The MA Affordable Care Act made possible for him to purchase medical insurance as an individual with a pre-existing condition. This insurance covered his second surgery which gave him a new lease on life. His insurance cost before the Affordable Care Act in Massachusetts was well over $1,000 a month, after RomneyCare fell to $800 a month and after ObamaCare fell to $700 a month – still a significant expense. But it has been a huge relief to know that the insurance is there in the event of another medical emergency. The Affordable Care Act works! Repealing the parts of ObamaCare that cover costs of this program will totally destroy it, leaving people like my son at the mercy of greedy insurance companies. His insurance costs are certainly going to go higher than $1,000 per month as soon as the Affordable Care Act is repealed by the Republicans. What will replace ObamaCare for the 20,000,000 who, like my son, are trying to survive? Are the Republicans so power hungry that they cannot see what they are doing? The storyteller is a member of the Greater Boston Interfaith Organization, a group of the congregations of 42 churches, synagogues and mosques. GBIO was a leader in the coalition that brought universal health insurance to Massachusetts, as the model for ObamaCare. Read about the effects of universal health insurance in Massachusetts. Guadalupe Mota told his story at a meeting of nearly 900 members of 32 of the churches, mosques, and synagogues in the Greater Boston Interfaith Organization on Feb. 2. I am here because the Affordable Care Act (ACA) saved my life. I was born and raised in Zacatecas, Mexico. When I was learning to walk as a child, like many kids, I would fall and bump my head. But in my case, when that happened, I’d start to bleed uncontrollably. My parents took me to the doctor, and I was diagnosed hemophilia. Hemophilia is a hereditary disorder that prevents a person’s blood from clotting. That means both internal and external bleeding can easily become life threatening. At age 13, I had a severe internal bleeding that put me in the hospital. The doctors could not control the bleeding because the medicines they needed had run out. Mexico’s healthcare system was, and still is, too poor and broken to afford the medicines patients like me needed. During that stay in the hospital, I bled so severely that I clinically died twice. Miraculously, I was brought back to life. It is a miracle I am alive today. In many countries like Mexico, hemophiliacs die in their childhood or teenage years because there is no medicine available. My parents decided they couldn’t allow this to happen again. Holding dual citizenship in the United States, they decided to move our family to California. They left behind their jobs, our home, and many of our family so I could have access to the medicines I needed. Once in the United States, I received insurance through the state, then through MIT, when I came here for college. After that, I was covered by my employers. As a working adult, my pre-existing condition prevented me from getting coverage for myself. Fast forward to January of 2016. I graduated from business school without a job--and without insurance. I once again felt the desperation I had in Mexico. If this had been 2008, my pre-existing condition would have made it impossible to buy insurance. By this time, though, the ACA was in place. It allowed me to purchase insurance through the Connector at a reasonable price. For the months it took me to find a job, it was my safety net. That safety net saved my life. Two months after graduating, I again ended up in a Boston hospital with internal bleeding. The medicine provided by the hospital stopped my bleeding. But without my insurance, there’s no way I could have afforded those medicines. My condition could have killed me, just as it almost did in Mexico. But it didn’t, because of the Affordable Care Act. I am here because the Affordable Care Act saved my life. Share this, and your own story, with your U.S. Senators in Alaska, Arizona, Iowa, Maine, Nevada, Ohio, Pennsylvania, Tennessee, West Virginia and elsewhere. Get their name and phone number here. Read another ACA story. Ken’s Advice: Show this to your friends in Wisconsin and ask them to call Congressman Paul Ryan, House Speaker, at 202-225-3031 to urge that he preserve the ACA’s guarantee of coverage for people with pre-existing conditions. Read another ACA pre-existing condition story. Thanks to Amy Goldstein of the Washington Post for the source article on January 14. I’ve donated blood 90 times over the years to the American Red Cross, most recently as a platelet donor. For that, they put you in a comfortable recliner, and you lie still for two hours with needles in both arms, asking a nurse whenever you need them to scratch your nose. This felt like doing something that was good every three months, but it was abstract. It hit home when one of my oldest and closest friends was diagnosed recently with leukemia. So I’ve decided to donate more often in Rick’s behalf, and I’m collecting money for the American Red Cross, as I’ll be on their team for the April 2017 Boston Marathon, around my 60th birthday. This will be my third marathon, after running in 1997 to prove 40 wasn’t fatal, and in 2014 to reclaim the Boston Marathon as ours from those who’d have us live in fear after the bombing in 2013. So now I’m doubling down on my commitment to the Red Cross, with a goal of $10,000. Can you help me along the way now? Please click Donate at my marathon page. I like to walk the talk; you can help me run the talk. Behavioral health coaching for diabetes: But when it happens to yourself! In the last 3 – 4 years, I had some issues about walking without difficulty, and some acceptance issues with my health, and the decline in my health. I went into the doctor’s office to get a checkup, and ended up in the hospital for three weeks. It was kind of scary! Every time, they found something else! I didn’t realize how despondent and depressed I was becoming. I work full-time at home, though I hadn’t wanted to do that initially. I’m pretty sedentary, so going to work was the social thing I did that gave me a sense of camaraderie. It felt like things weren’t worth it. I was having issues with depression and my newest diagnosis, diabetes. And I had other things going on with my hospitalization, bing, bing, bing, boom! There were too many other very emotional things going on then. I’m a nurse, so I know you can help others. I do that all day long in their journey to get healthy again. I know all about diabetes, but when it happens to yourself! You can’t help yourself—I found that out. My health issues triggered a call from AbleTo. A nurse would call me every three months, so I got to talking with them. We could do it over the phone, which was very convenient. They connected me with a social worker, JoAnna, and a nurse, Marta. They do an assessment the first time, and the two of them collaborate. They had an eight-week course so we could dig in, and teach mindfulness and other strategies to get myself in a better place. Now I talk to each of them once a week: the social worker on Monday, and the nurse on Wednesday. The social worker looks at the social aspects. The nurse is a teacher. She was fundamental in giving me online places to read about the mindfulness technique, relaxation, and learning to eat in a different way, with the diabetes. I can’t do all the things I used to be able to do, but I can look forward to things I can do. I lost quite a bit of weight. I had lost some, but then I lost 46 pounds, which was easier with help on the phone. They motivated me. I didn’t realize how badly I had not taken care of myself emotionally. I’d been avoiding getting out and seeing my friends and family outside the house, having them come to mine. Marta and JoAnna encouraged me to schedule times and to set goals like to at least go out once a month, like attending a function with friends a couple of times a year to meet up with old nurses I used to work with, which I do now. I got tons of grandchildren. I’m on oxygen, with a walker. I’m not vain, I’m just not used to people seeing me outside the home. My son and daughter-in-law moved in with me, and assist me with a lot of things. There gets to be conflict with that, with communication, for example, so I’m setting goals with that too. Now I’m able to communicate better with my son. Life is better now. I’m more active. I go out to birthday parties. The last one was for three of my grandchildren, ages 4, 7 and 17. The best thing was the fact that I went and enjoyed myself. I had so much fun! I went by myself for the first time. That was kind of daunting because I have oxygen and a walker, and it was 25-30 miles away at my oldest son’s house. The biggest problem for me was in asking for help, for me to realize, Hey, if you can’t assist me, I’ll do it myself. I did! I’m taking back my life a little bit, at a level that I can. I’m meeting up with friends, and I have a better social life. I’m the Chief Medical Officer at AbleTo. As a cardiologist, I spent a lot of time with my patients focused on lifestyle and behavior change. But I also quickly recognized that as physicians we are really quite good at telling people what to do, but not as good at helping them figure out how to do it, or at helping them identify and overcome the barriers that are standing in their way! And for so many people, it became clear that that barrier was in fact a real mental health challenge like depression or anxiety. So at AbleTo, a national behavioral health provider, we do just that. We pair each patient with a therapist and a coach who they meet with weekly by phone or video. The treatment program uses protocols and is tailored around a specific clinical condition and uses Cognitive Behavioral Therapy (CBT) at its core. The coach really helps the patient translate what they’ve learned in the therapy sessions into something actionable. A lot of my work is focused on measuring outcomes and proving the benefits of our treatment for patients and our partners. For example, we’ve found a consistent decrease in depression in the range of 50 – 65%, fewer admissions to the hospital and better diabetes management as shown in our articles in AJMC and Telemedicine and e-Health. I sometimes joke that the care isn’t rocket science; what's rocket science is finding the right people at the right time, keeping them engaged, and ensuring the treatment is easy to access and very high quality. For example, we have a proactive outbound screening program, since so many people aren’t identified otherwise. We use our clinical algorithms based on claims data, pharmacy data, and other health-related information to identify who’s at risk. Our engagement specialists are trained to reach out to people in a very empathic and destigmatized way. We make it ok to accept the help they might need. It's very satisfying to know we are making a difference. Ken’s note: The journal article describes a study that looked back at 466 people with diabetes who had gone through the AbleTo program. Among people who had had highly severe depression, anxiety, and stress beforehand, they had major reductions in depression (67%), anxiety (59%),and stress (70%). More of them started measuring their morning glucose levels. The people who had had the highest morning blood sugar levels had the greatest reductions in them. Read a story of another innovative approach for a person with diabetes. Thanks to John Pelle of AbleTo for connecting us. “Shannon” is a 57-year-old personal trainer who’d been experiencing fatigue, unexplained weight gain, dry hair, dry skin, constipation, and brain fog. She felt that her energy was being zapped. These symptoms were very disconcerting to her, making her not a model trainer for other people to observe. She started to get frustrated that her health was not what it should be, especially because she’d been doing all the right things: eating right, exercising, etc., but her body wasn’t responding as she’d expected. People often come to an office like ours when they’ve been doing all the right things, but are still getting worse, like Shannon. She presented to the clinic with hypothyroidism [underactive thyroid gland], which seemed to be getting worse. I’ve seen this multiple times. This is why we want to let people know they have multiple choices, not just one choice. For a lot of people, especially women, diagnosed with thyroid issues, what’s evaluated are the regular thyroid markers like TSH [Thyroid Stimulating Hormone], T3, etc. They’ll find that the TSH is elevated, and the T4 is low. When that pattern is there and they have those symptoms, you say, OK, this person needs thyroid hormone, so you order Synthroid. But that doesn’t always work because there may be an underlying autoimmune problem; the person’s immune system might be attacking their own thyroid. But thyroid antibodies aren’t checked enough; that’s rarely done. That’s important because when TPO [Thyroid peroxidate] antibodies are elevated, it indicates an autoimmune problem is causing an imbalance. Knowing that creates a new therapeutic branch point to treat the person comprehensively. There’s a fork in the road: either the provider doesn’t care about thyroid antibodies, or he or she investigates the autoimmune component. We can test for the antibodies, which helps us identify the trigger. In Shannon’s case, no one had bothered to look at her thyroid antibodies. They were quite elevated, indicating she had an autoimmune problem going on. The Cyrex Array 3 and Array 2 tests showed she had “leaky gut” [i.e., she had gaps in her intestinal gut barrier wall] and gluten sensitivity. These triggered the autoimmune effect on her thyroid. (This is called Hashimoto’s thyroiditis.) No one had addressed that; that’s why she wasn’t getting better. If the person can stay away from gluten and we can fix their gut barrier, we can put this all into remission, and keep it there. We did, and she did great! Her brain fog, constipation, weight gain, etc., got better, once her thyroid was regulated without the regular attack on her thyroid. Without the Cyrex tests, we wouldn’t have been able to identify her triggers for the autoimmune condition. This takes the guesswork out. Hormones are the body’s communication system. Just the thyroid hormone alone influences lots of other hormones, like female reproductive hormones, and neurotransmitters in the brain like serotonin and dopamine, so if the thyroid is off, multiple systems are affected. Thanks to Dr. Larson for the interview, and to David Feistel of LFPR for connecting us. Read another thyroid story. *Doctor of Naturopathic Medicine; Doctor of Chiropractic; Certified Clinical Nutritionist; Certified Strength and Conditioning Specialist. I had a 92-year-old patient with a very high temperature, 104.9 degrees Fahrenheit. Her daughter said she was lethargic and unwilling to eat or drink. I made a house call to see her. There was no obvious source for her temperature. After the technician drew blood to be tested by the I-stat machine, I set her up for a chest X-ray. My exam and the blood test results showed her to be dehydrated (BUN 97) and hypokalemic (low potassium of 2.9). While the technician developed the X-ray, I started an IV with normal saline for hydration plus potassium chloride 40 mEq. The chest X-ray revealed a right-sided pneumonia so we determined the source of her fever. She had a terrible experience in the hospital three years earlier, and she and her family refused hospitalization. The patient was started on an IV antibiotic (Ceftriaxone) which lasts twenty-four hours along with the hydration IV (conveniently using picture hooks). It is not uncommon for us to care for critically ill elderly or terminal patients in the home who are at a stage where they no longer desire hospitalization. The photo shows her surprising recovery by the next morning. 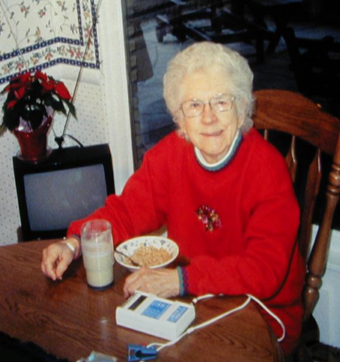 She passed away four years later on hospice, having never spent one night in the hospital. Ever since I treated her in 1994, I have been continually amazed at how well people do when treated at home. Over the past 20 years, I have made over 31,000 house calls to more than 4,000 home-limited patients. Not only is this incredible care, there are huge cost savings. A study of 11,000 veterans found that house calls saved $9,032 per patient-year in total costs. Thanks to Dr. Cornwell, Chief Medical Officer of the Home Centered Care Institute and John Wasik of the New York Times for this story. Read about a very different kind of house call. Several months ago, I treated a man in his 40s, a veteran of the war in Afghanistan who had developed both a chronic pain syndrome related to recurrent pancreatitis and a problematic relationship to opioids. Sometimes the healthcare system had been suspicious of his requests for pain medication. People were nervous, thinking that if they listened to him, and gave him an inch, he’d take a mile, and we would get into a dynamic were we’d never be able to satisfy his needs for narcotics. I have been thinking a lot about this “co-production” framework for patient care, which invites a more full partnership and more transparency in communication, so I decided to risk putting it all on the table. “Look, we don’t want you to be in pain. But it can be hard for us to know whether we are managing your pain or your addiction. You’ll have to help me out with this. You have a high tolerance to narcotics and you have real pain. Let’s figure this out together. What matters most to you?” Having had a lot of experience in various hospitals, he knew he didn’t want to be on a pump that he could use to dose himself as he knew he might fall asleep and wake up with undermedicated pain; he didn’t want to have to keep ringing the bell to ask the nurse for pain medication that was prescribed as needed or “PRN.” We put together a plan that involved a combination of long acting and short acting medicines on a regular schedule at doses that he knew would work for him. He turned out to be capable of being a very good partner. The regimen we put together kept him comfortable without over-sedating him. He did not page the overnight teams with requests for more narcotics. In keeping with parameters I set in our initial conversation, he made no demands for additional narcotics at the time of discharge. I suspect most people want to be good partners with their health professional teams, if we help them understand what we need and want from them and what constraints we are working with. Often, hospital-based doctors wring their hands behind the scenes in caring for patients like this. Assuming people with addictions to pain medication will ask for more than they need, doctors feel they have to make decisions by themselves and – not surprisingly – they often don’t get it quite right. This leads to a lot of back and forth tension about a hospital pain regimen which is frustrating for everyone. Once you get start looking for ways to improve the quality of the partnership between health professionals and patients, you see it everywhere. Thanks to Dr. Maren Batalden for her story. Read another of her stories about the co-production of medical care and her article in the British Medical Journal. In 1993, I’d gone to get new glasses and have my eyes examined. The doctor asked me how long I’d had diabetes. I don’t have it, I said. He said, You should get a primary care doctor and get some blood work done. I did, and two weeks later I got a call at my office saying I had Type 2 diabetes. We tried to manage it with Glucotrol and whatever drugs there were available then. I wasn’t dedicated to checking my glucose like I should have been. My mother and grandmother both had Type 2 diabetes. You’d think it might skip you and go to the next person. My A1c [a measure of the blood sugar level] got up to 10.3. That scared me! I tried to watch it for a few months, thinking I could manage it on my own. But I wasn’t really eating like I should, and wasn’t testing my glucose like I should. In 1997, I had two stents put in, and one in 2014. In June 2015, I had an emergency when they realized my heart artery was 99% blocked, so they put in two more stents. That’s all that can go in there, the doctor told me; no more metal can go in there. He said next time, we’ll be shipping you to Baltimore for bypass surgery. Now I have five stents in my left anterior [front] descending (LAD) heart artery, which they call the “widow maker.” I have circulation problems, and I’ve had glaucoma and cataract surgery. I had a log book to track my blood sugars and what I ate. But then that book would lay there for days without me testing my glucose. It wasn’t with me all the time; I didn’t take it to work, or to restaurants. In January 2016, I’d gotten my A1c down to 9.3. They said they have something called BlueStar, and asked if I wanted to try it. I said I’d give it a shot. When I saw that app, a light bulb went off! I still get emotional when I think about it. I like that the app keeps me accountable. I used to say I’d eat right, but it didn’t work. Now, when I get up in the morning, I have something that talks to me and says, “Eat your breakfast.” It’s almost like a companion to me. If I put in a number that’s low, 70 or so, that app will say, “It’s time to eat 15 grams of carbohydrates.” It sets a 15-minute time on my phone to remind me to recheck by blood glucose. I’m amazed that someone made a program that can track that, and even if I’m busy, to tell me to check my sugar. That means a lot to me! I wish I had this back in 1993 when I was first diagnosed with diabetes. BlueStar has become part of my life. It keeps me accountable. I look at my grandkids and wonder if they’ll get to know me. I’ve made up my mind that they will. Through this app and God’s help, I’ve determined that I’ll live a lot longer. Instead of the log book, I just key the information into my phone. People just think I’m texting or something. I’ve gone from not being able to go to the market for the last year and a half or two years, since I couldn’t walk, and my energy level was terrible. Now I can. I told my boss at work I was so excited that I could go to the market now! She looked at me with tears in her eyes. I didn’t realize it took that much of your life. Now I can walk from my car into work, and on some days I can walk clear from the parking lot to my desk without even stopping! I’m amazed at the difference in my life. My grandkids are, too. They’re seven and nine years old. Now I can go bowling with them. Now I have a FitBit, too. It can be synced to my BlueStar app, so I can track my steps. I can also use BlueStar to watch videos of how people do different things to manage their diabetes. My primary care doctor asked me how other patients can get ahold of BlueStar, because she has seen my A1c come down. I’m the WellDoc Director of Clinical Innovation for BlueStar, which is an app that was cleared by the FDA [U.S. Food and Drug Administration] to provide personalized coaching and support 24x7 via people’s smartphones. BlueStar allows patients to share their data with their healthcare team, so they can best partner together to improve diabetes care. We recently studied its use in a small study conducted in a patient-centered medical home for which BlueStar provided real-time coaching and guidance on a daily basis, with coaching about once a month from lay person health coaches. Preliminary results showed a 1.7-point reduction in A1C from baseline of 9.7%. That’s primarily from two factors: having an engaged patient and regularly informing the healthcare team. Thanks to Juliette Bogus of PressComm Public Relations for arranging the interviews. Read another diabetes coaching story. My sister became ill with schizophrenia in 1960, when she was 30, as a mother with 5 young children. I was a college graduate, and knew my way around research. But as hard as I tried, I could fathom nothing that was helpful for us. At that time in America when people became ill with mental illness, the worst outcomes happened. There was nobody there to counsel or confirm or console, nothing! It was at the height of the family blaming era. So the idea that families could teach other families was unheard of. My sister escaped having her brain skewered with a needle [for a lobotomy], but she went into Freudian therapy, which alienated her from her family almost immediately, as she was very psychotic. I just watched the whole thing go down the drain, which was tragic! She rejected her husband since she had delusions about him. The kids huddled, and my mother took over as grandmother. Things were full of tension because of the animosity on my sister’s part. For years and years she was out of touch with all of us in the family, and the kids had to struggle all by themselves. When Mommy got to be 80, I called the five of them to ask them to come to her birthday, and three of them showed up. I took them out to lunch. I was frightened to approach the subject of their Mom’s illness after so many years apart, but I pressed on, asking them, Do you all know your mother has schizophrenia? With some relief, they said they knew something was wrong, but no one had ever given them any information or guidance. How could this silence happen in America, where in other medical realms so much progress was being made? Then in 1981,my daughter became ill. There was still no guidance, no compassion, no counsel. I had to stay up all night with her in the hospital, and at 4 a.m. was obliged to do a psycho-social interview with a resident. He said she now had schizophrenia because her “infant psychosis” was breaking through. I looked at him like he’d come from Mars, recognizing instinctively that this was just plain crazy. It was from my neglect of her, early in her life, he added! I don’t know when outrage matures and inspires action, but that was one key event that later drove me to write Family-to-Family. At that point, I’d never heard of NAMI [National Alliance for Mental Illness], but I did get a suggestion from a friend and called Dr. [E. Fuller] Torrey, who’d written Surviving Schizophrenia. He’s a radical activist and wonderful psychiatrist. When his sister got schizophrenia, he realized how abandoned families were, and how badly the mental health system treated people with mental illness. He advised, if you make a call to someone and they can’t help you, insist they give you the next lead. I spent two years on the phone trying to find resources to save my daughter’s life. She didn’t have any insight into her illness and I did not get a shred of useful professional guidance beyond Dr. Torrey’s kindness. It was just hideous! I began to understand how many people had gone through the same nightmare. How can this be America?! There was no professional initiative, no one saying, Oh gosh, we have to educate families because they’re the first responders. Family caregivers were so forgotten and unheralded and sacrificed. I’d gotten my PhD in Psychology at age 51 or 52, but psychology had all the wrong answers. I said, This is unacceptable. If the providers in the field won’t do this, we will have to do it ourselves. I felt like I had a tailwind from my justifiable rage at what we’d gone through as a family, and concern for all the other similar stories I’d heard. And I had absolute faith that family caregivers would be superb teachers. One psychiatrist complained at a meeting that we were taking over the store. I said, How can that be when there was no one in the store! In 1991, NAMI-Vermont got a grant for $15,000 from NIMH for family education, but I’d started writing the course even before that. I trained the first teachers in Vermont, and kept writing later segments of the 12-week course while they were teaching it. Talk about inspiration and energy behind an idea! It was so all-consuming, that my husband had to say, I don’t want you to cross the street until you finish the course! Now, 25 years later, we have hundreds of volunteer family member teachers across the country. Every teacher has some degree of the same story of isolation, being ignored and disrespected at some point, though in all other illnesses, people are kind and concerned. It was SO different for people with mental illness. By then, I’d seen 20 years of the burden on my own family, the weight of continual stress on my mother and father, the impact on their finances and their dreams of a happy family future. So this is the story of many Americans who refused to accept the rejection and discrimination they faced from the psychiatric community, who found the courage and resolve to turn the prevailing myth of family dysfunction on its head and forge a lasting opportunity for family caregivers to learn how to manage effectively and regain balance in their lives. Moreover, we didn’t stop with Family-to-Family. NAMI now has the Provider Education Course which I wrote in 1996 , where a team of family members and individuals with mental illness go into mental health agencies and talk to providers about the realities of mental illness. I also wrote a program to help teachers recognize early onset mental illness in children. In fact, NAMI now has ten free peer education and support programs, all directed by family members and people with the lived experience of mental illness. Helping families in crisis, giving them something to use while they’re going through the demanding and mystifying elements of mental breakdown, is priceless. We help them see their stricken loved one as a hero rather than as a lost cause. Family members who take the course say it gives them more understanding and compassion and concern, and an awareness of the heroism it takes to live with these illnesses. All that improves the relationships in the family. This program also ends up being enormously healing for the teachers, using the pain they have lived through to be helpful for other people. That’s the last stage of coming through trauma: giving it meaning and significance. We’ve never lacked for teachers. Everywhere I went there were 20 people saying, I want to teach this. It has made for me a wonderful kind of missionary life. I just had to light a candle and go forward, since it was all blackness! The families responded. You have to give a huge vote of appreciation to the families that keep this going. That’s the miracle here, that people said, I’ll pick this up and do it. I don’t know how many organizations like NAMI there are, for which people would go through the demanding training for teachers, give up 12 weeknights to teach the course, and turn in their evaluations. NAMI members are so dedicated, so ready to help others facing the trauma of mental illness. Ken’s Advice: NAMI’s Family to Family Education Program has helped more than 300,000 family members, for free. Recommend it strongly to your friends who have a mentally ill family member. Read a story about a very different patient education class. I’m the Co-Chair of a Patient/Family Advisory Council (PFAC) at Beth Israel Deaconess Medical Center in Boston. Several of us on the PFAC who’d been through the surgical experience at BI, in the waiting room as a patient and as a family member, found it was not a very comforting or personal experience, but was rather stressful. One of our projects was making that experience less stressful for the loved ones waiting. A doctor and an I.T. [Information Technology] staff member came to the PFAC and asked for our input. Several of us shared how impersonal it was. It was an open area, at the main entrance to the hospital. It created extra stress with all the people coming and going constantly. Now there’s a new waiting area that was created, away from the main entrance, that also has a newer technology of communicating to people where their family member is in terms of the surgical process. It’s an electronic board, so I can see, for example, my spouse is in Surgery, or, they’re in Recovery. They give each patient a special code on the screen, so it’s HIPAA compliant [to protect privacy]. And there’s an actual person to talk to when they want to check in and a person who knows the information about their family member. In my volunteer work on the Boards of nonprofit organizations, when I feel strongly about something, I jump into it. I got really great care at the hospital, and I also saw room for improvement. I think about who’s coming after me. 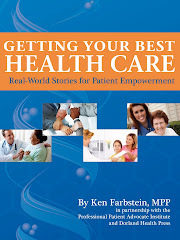 Read another story about a Patient/Family Advisory Council. “I would like to comment on patients with visual impairment going into an area such as Radiology. Even with a little sight, it can be difficult to know where to stand and who is open next during the registration process. Vague directions such as "gowns are over there", and "go over there when you're done getting dressed" are not helpful. It is also important for healthcare workers to introduce themselves and tell us what their role is, especially in this day and age when everybody seems to be wearing scrubs.” They really need to be mindful, since I can’t see.” I got other quotes about how anxious people are to walk into Radiology if they are going there for a procedure that may reveal cancer or a recurrence of a cancer that had been in remission. We’re making a training video for the orientation and training of front-line staff in Radiology and hopefully it will be used in other departments. The blind woman who was a patient will be in it, as it’s really important to personalize the experience. In the last year, the Service Excellence Program Manager has been coming to me more and more, saying, “You really have something here, with people who were so vulnerable and are willing to share their stories.” So she is planning to embed our advisors in more of her meetings. Ken’s Note: This is an inexpensive way to make staff training much more vivid and memorable, and to increase patient engagement. Read about how patient engagement improves outcomes. I was brought in as the patient/family advisor for a Lean event, a one-week rapid cycle improvement event addressing the wait times in the outpatient clinic my kids were served in. I was with the clinicians, nurses, administrators, the assistants who bring you back to the exam room, and the front office staff, so all three of the gears in our company’s emblem were represented on the team. We identified some of the deficiencies. In the middle of the week, a conversation came up about a physician’s frustration with families not following their care plans. The care plan had made sense, he said, but the family had not called back. He proposed that the families didn’t really care about their kids. I spoke up and said, I’m very invested in this. Sometimes we don’t get the call back either. It’s very frustrating when you can’t get in touch with folks. Others joined in. The team realized that in the office’s phone tree, when patients called in, the call was routed to a voice mailbox of nurses and staff members who were no longer with the organization, so our messages were sitting in unchecked mailboxes. There had been assumptions about miscommunication, with team members thinking that patient education might be needed to emphasize to families the importance of following the care plans. Instead, there was a ten-minute engineering fix to route the phone calls to the right mailboxes. That improved follow-up and the continuity of care, etc. If all of us hadn’t been there, this would have gotten lost in translation. This is an example of the value of co-design, and representing all the voices in the room, not just the patient’s perspective, but their interaction with clinicians and administrators. That’s so important. We’ve worked so hard over the last ten years to get the patient’s voice into the conversation. The secret is in the interactions together to highlight the opportunities for co-design and improvement. The pendulum is swinging, but in some ways having just the patient or family’s perspective is of as little use as just having the clinician’s viewpoint. The interdisciplinary approach is better. Libby is the founder and CEO of PFCCpartners, based in California. Read a story of the co-production of medical care. A few months ago, I treated an elderly gentleman with cancer who was getting chemo, so his immune system was compromised. He got a urinary infection and ended up in the ICU [intensive care unit] with sepsis, needing specialized attention to support a very low blood pressure. He got better surprisingly quickly with antibiotics and fluids. He came to the regular medical unit late the following afternoon where I became the doctor in charge of his care. I met him the next morning and he told me he felt fine and was ready to go home. He’d been quite sick, so I wanted to watch him another day, especially because we didn’t yet have the culture results from the bacteria which caused his infection and we didn’t know which antibiotic would be safe for discharge. I explained my concerns to him. “When will you have the culture results that describe my bacteria?” he asked. I said tomorrow. So he asked, “How about if you give me a dose in the hospital of an IV antibiotic that works for 24 hours, give me a prescription that is your best guess about an antibiotic pill that you THINK will treat my infection, let me go home, and call me tomorrow if we need to change the antibiotics. If we need to change it, we’ll change it then.” I thought it was a great idea! He said, “Why should I sit in the hospital waiting for lab results?! If I feel terrible, I’ll come back.” He did great! I called him the next morning; the culture results confirmed that his bacteria was sensitive to the antibiotics I had prescribed. He felt well and continued his recovery without complication at home. Thanks to Dr. Maren Batalden for her story. Read her article in the British Medical Journal on co-production of medical care. Hemoglobin A1C is a blood test which measures average blood sugars over a three month period. Doctors and patients use it to evaluate the degree to which a person’s diabetes has been “in control” in recent months. Ultimately the HbA1c should reflect the positive changes that the woman above is making, but sometimes it takes a while. We have to be patient with that process. Sometimes a person with diabetes needs to focus on some more foundational life changes that will eventually be reflected in the blood test, but may take several months to manifest. Our efforts to measure and improve health outcomes in chronic diseases like diabetes have become “performance measures” for health professionals by which payers evaluate the “quality” of care being provided. In a subtle way, this has confused us about the nature of health professional work. We’ve come to see numbers like the Hemoglobin A1c as if they are something that health professionals produce. In fact, of course, numbers like these are co-produced by patients and health professionals working together. In fact, blood sugar is largely controlled by people with diabetes – not their nurses and doctors and nutritionists. Blood sugar is determined by the everyday decisions of a person with diabetes -- what they eat and how they exercise. The doctor is a bit player. The doctor prescribes medication, helps to decide when it’s time to start insulin, or go up on a dose, and does a little teaching. But most of the learning happens outside of the clinic, in the life of the person with diabetes in relationship with their families, by trial and error. Thanks to Dr. Maren Batalden for her story. Read Dr. Batalden's article on co-production, mentioned by the Institute for Healthcare Improvement today. OK, adult sons, can I have your attention please? When you were a teenager, your father might have had The Talk with you. Remember how awkward that was for both of you? Now it’s your turn to stammer out to him some important information, to have A Talk with him, about his prostate and what to do about the damn thing. June is Men’s Health Month, and with Father’s Day coming up on Sunday, there’s no better time for The Talk. You can see a short video of advice by Dr. Harry Fisch, a Board-certified urologist at New York Presbyterian Hospital/Weill Medical College of Cornell University, or read excerpts from the interview below. Q: What is the best way for men to educate themselves about prostate treatment? A: 4Kscore.com is a website about the most modern and sophisticated test for the aggressive form of prostate cancer—that’s prostate cancer that can kill you. A lot of times men are getting prostate biopsies that are unnecessary. Three out of four men, when they get a biopsy, don’t have cancer. We want to limit the poking and prodding that men get. The more sophisticated 4K test can decrease the number of unnecessary biopsies and gauge the risk of having aggressive cancer. That’s what the 4K score test is all about. Q: How would you advise adult sons to talk to their fathers about prostate cancer? A: We don’t want denial. Men are in denial, denial, denial about their health. Men who are older tend to not want to go to the doctor. and are more reticent to really discuss their health. Young men can talk to their parents, and say, “Look, I’m doing it. It’s my turn to teach you about proper health.” Young men are more attuned to information. It’s the Information Age on the Web. Get that information from the Web. Show it to your father, and your mother too, as well, so they can get as much information as you got. Make them more savvy. Thanks to Dr. Fisch, and Mike Bako and Alex Cole of D.S. Simon Media for organizing and producing the interview. Read another story on prostate cancer decision-making. This is Part 2 of Debi Janway’s story about her mother’s care at Planetree. You can read Part 1 here. It was a home-like feeling. I was here late in the evening, and my family would come. The waiting room in MedSurg is home-like, with round tables to eat at and relax with nice chairs, on the same floor as my Mom. So you know if the doctor or nurse wants to see you, you’re right there. You can heat up your own food in the kitchen that’s right there. If your family member is allowed to eat the same food while she’s in the hospital that she eats at home, you can cook that food for them. They did aromatherapy. Mom absolutely loved the lavender they’d put in her room, it was so soothing. It was very quiet. You could hear a pin drop. No one just entered the room; they always knocked first, and asked, Would it be all right to come in? The lab techs would ask, Is this a good time to come in? It wasn’t intrusive. They’d ask, Is there anything else I can do for you? My Mom might say, Yeah, I’d like some more ice water. The lab tech or whoever would get her what she needed. As a Care Partner, we could do that too. I feel very blessed. Mom is back at home now. We have a program, Lights Out Lavender. We’ll do a back massage for the patient, and ask if they’re ready for bed. Our staff round every hour. We worked hard to make it quiet at night. For example, we have reminders to make sure the environment is quiet. We did an assessment and realized that the Housekeeping carts were too squeaky. The doors for the patient laundry used to click shut really loudly, so we’ve changed those. Also, we use soothing sound machines if patients like them, to create white noise, which can sound like rain, or the ocean. Ken’s comment: The healing environment creates tangible results. Patients have high satisfaction, as do physicians and other staff. The environment seems to quicken healing, as patients’ length of stay is significantly shorter than in a comparison unit, according to “A Retrospective Evaluation of the Impact of the Planetree Patient-Centered Model of Care on Inpatient Quality Outcomes," abstracted here. Even so, the hospital has been profitable since 2010, perhaps because so many have heard about the spa-like hospital. Thanks to Dr. Susan Stone and Debi Janway for sharing their story. Mike Steskal, a commodities trader who lives and works just outside Philadelphia, is 55 and was told last summer that he had prostate cancer after his doctor ordered a blood test for flu-like symptoms that happened to include a PSA test. The PSA test looks for a protein linked to prostate cancers. His PSA level was slightly elevated, which led to more tests, including a biopsy that showed a Gleason 6 cancer. He spent months seeing different doctors, most of whom recommended aggressive treatment because he is so young. He also researched prostate cancer on the Internet and talked to men who had gone through various treatments. Finally he chose active surveillance. Dr. Alan J. Wein, the Chief of Urology at the Perelman School of Medicine, advocates active surveillance for most men with low-risk cancers. But he emphasizes that they should have a second biopsy within a year, followed by regular biopsies every year or two and regular PSA tests. Ken’s comment: The false positive PSA test led to a scary misdiagnosis, but Mike was wise to carefully consider the alternative to surgery. Thanks to Gina Kolata of the New York Times for the source story on May 24, “The Latest Trend in How to Treat Prostate Cancer: Don’t.” Read another story about decision-making on prostate cancer. My mother is very active, 89 years old. She comes over four days a week in her Thunderbird convertible. Recently she had pain in her lower left side, at an 8 or 9 on the ten-point scale. I’d brought her to the E.R. of our local hospital, but because the pain was so severe, I got her transferred to Planetree’s medical center in Coronado [near San Diego], where I’m an employee. They put my mother in a private room, and she sighed with relief. It gave me peace, too. I was right there with her during the evaluation, included in the conversations, since they knew I was her care advocate. As a Care Partner, they offered me a tour, showing me where the healing garden was, where the kitchen was, where to get meals, etc. It was amazing! That’s routinely available to the Care Partners. I put my name on the board, giving the information to the nurse about how to reach me and discuss the plan of care. I had told the nurses I’d like to be in attendance when the physicians were rounding, because my Mom is hard of hearing. They’d move in closer so she could hear. The doctors were wonderful in taking care of her. Even on the weekend when I wasn’t working in the hospital, they called me. We weren’t even there an hour before the Environmental Services technician came in and offered a warm moist washcloth all rolled up. Mom asked what she was doing. The answer, “to help you relax, and wash,” with an explanation about Planetree’s way of helping patients heal, brought the first smile I’d seen on my Mom in 15-20 hours! She said it felt so good, it was amazing! Handing washcloths to patients with aromatherapy twice a day was part of a program developed by Housekeeping to be a partner in the patient’s care. This has been a cornerstone program for them in helping them change from a hierarchy to a team. We’d made a commitment back in 2001 to spread the patient-centered model house-wide. We created a hospital-wide work team to create a Designation Process. We’ve identified 11 areas of expertise, including a Healing Environment, use of Alternative Therapies, etc. These are the criteria used for awarding unit-specific Planetree Designations in addition to two Designation with Distinction honors. As another example, if a patient’s pain is out of control, the patient might ask a housekeeper, Will you pray with me? They might not ask that of a nurse, but they’d ask it of Housekeeping. That can be really important for their healing. Also, they can brush the patient’s hair. It changes the whole dynamic; the patient understands the housekeeper isn’t just there to clean the room. Ken’s comment: The hospital’s patient satisfaction scores on the Hospital Consumer Assessment of Healthcare Providers and Systems (HCAHPS) were in the top 5% among U.S. hospitals. Employee satisfaction rated in the top 2%, earning a Morehead Workplace Award, according to a presentation by the Chief Nursing Officer of Sharp Coronado Hospital. Thanks to Susan Stone and Debi Janway for sharing their story. Look for Part 2 soon. 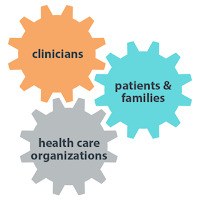 I advise individual patients and their families during health crises. I've extensively advised the heads of hospitals, addiction treatment centers, medical groups, and health maintenance organizations on ways to improve the quality of care. My contribution enabled a multi-hospital system win the $25,000 first annual Premier Award for Hospital Medication Safety. I've also helped clients win other awards, e.g., for reducing alcohol and substance abuse. With my help, hundreds of doctors, nurses, and managers have improved their clinical quality in the Network for the Improvement of Addiction Treatment, Beth Israel Deaconess Medical Center, Kaiser Permanente, Harvard Pilgrim Health Care, Japan’s Tohoku University, the Massachusetts Division of Medical Assistance, and many other organizations. See our medical error prevention evidence. Zestful "Living in the Bonus Round"